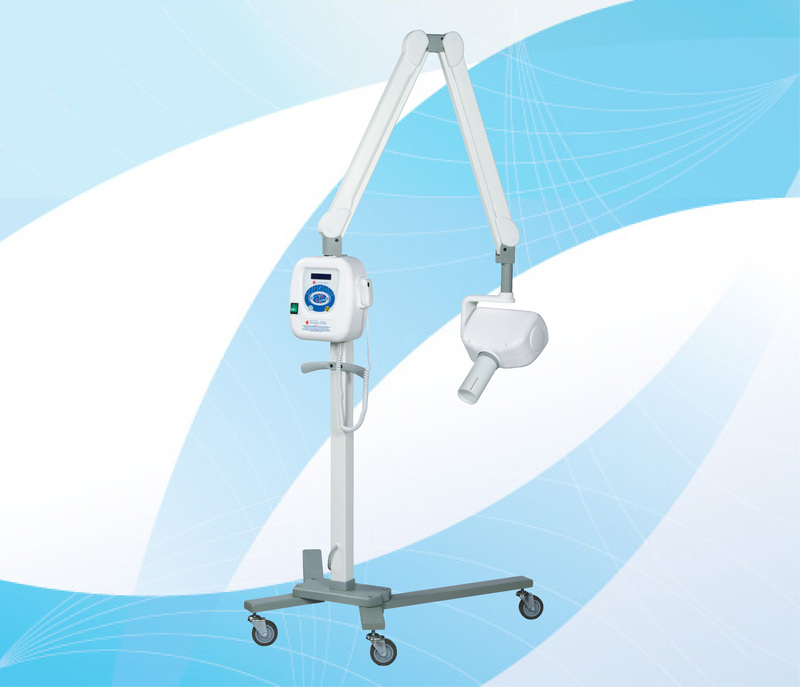 Mobile Stand, Mobile unit that allows reaching separate operating stations, on a sturdy and stable rolling stand. CORIX® 70 PRO is a Diagnostic X-Ray Equipment, specifically designed for Veterinary Dental Radiology. Unique features, like a Control Panel with a bright graphic display, tha allows the selection of Patient's Weight, Maxilla and Mandible Teeth, Speed Factors for the image receptor, with more than 400 pre-set exposure times automatically selected and displayed on the screen, or manual override, are making the CORIX® 70 PRO the most complete and advanced Dental Veterinary X-Ray Equipment in the market. RATED TUBE POTENTIAL: 70 KVp +/- 7% . RATED TUBE CURRENT: 8 mA +/- 15%. EXPOSURE TIME RANGE: Manual Time selection: 0.03 to 3.00 s., in steps of 0.01 s. with, or without automatic line voltage compensation. More than 400 pre-set exposure times in memory. Pre-heating times, for loading the x-ray tube, with 4 pre-set values. MAXIMUM DUTY CYCLE: 1:30 (1 sec. ON, 30 sec. OFF, automatically controlled by the microprocessor). FOCAL SPOT: 0.8 x 0.8 mm. TOTAL FILTRATION: Min. 2mm. Al eq. LEAKEAGE RADIATION: Less than 50mR/h @ 1m. Technical factors: 70KVp, 8mA, 1s. NET WEIGHT: Mod. WM (Wall Mount): 27 kg. Mod.MM (Mobile Stand): 46 kg. SHIPPING WEIGHT: Mod. WM (Wall Mount): 33 kg. Mod.MM (Mobile Stand): 53 kg. SHIPPING DIMENSIONS: Mod. WM (Wall Mount): 1 Box, 95 x 52 x 28 cms. Mod.MM (Mobile Stand): 2 Boxes, 83 x 42 x 35 cms., and: 113 x 34 x 27 cms. *Corix Medical Systems reserves the right to modify the design and specifications without prior notice. © 2016 INNFINITY Design. All Rights Reserved.